The great English organist E Power Biggs studied at the Royal Academy of Music in London but emigrated to the US, where he performed widely. From 1942 to 1958 he broadcast a weekly radio programme that brought the sound of organ music, particularly that of the Baroque, to an unprecedentedly large audience. For American Columbia he recorded a wide repertoire (even extending to Scott Joplin rags on the pedal harpsichord), but with a firm emphasis on Bach. 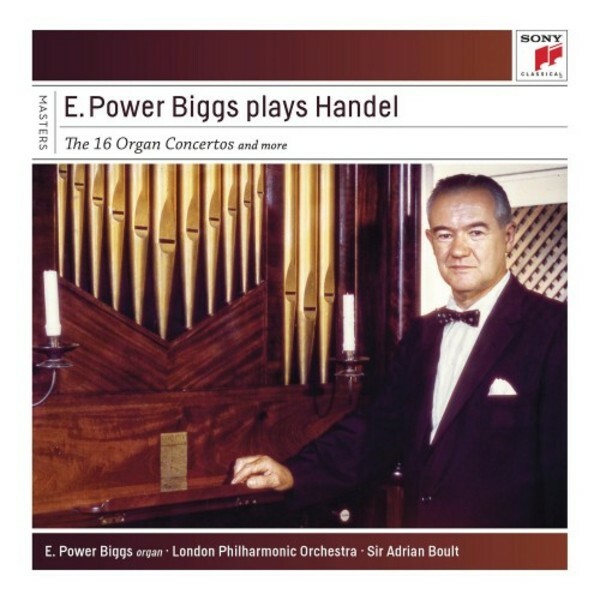 Another celebrated Biggs project was his recording of the 16 Organ Concertos of Handel with the London Philharmonic under Sir Adrian Boult, performed on a 1749 organ at Great Packington, Warwickshire, which the composer himself frequently played. This new 4-CD Masters box also contains Biggs�s recordings of transcriptions from Handel�s oratorios and operas.